If you’re an RPG fan, particularly a JRPG fan, you’ve no doubt heard of at least one of the following three games: Xenoblade, The Last Story, and Pandora’s Tower. These are three games that were created for the Nintendo Wii, have been released in Japan, and have no intentions of coming to the US. That last part doesn’t bode well with RPG fans, and thus, Operation Rainfall commenced. As of this writing, all three games have now been confirmed for localization by Nintendo of Europe. So why not America? Are the developers nobodies? Do they not want the games in North American? Not quite… You may notice that The Last Story sounds reminiscent of another RPG series: Final Fantasy. Why is that? Oh, Hironobu Sakaguchi is behind it… Other games you may recognize from his current studio (Mistwalker) are Blue Dragon and Lost Odyssey. Mistwalker is fully backing Operation Rainfall, according to their twitter. How about Xenoblade? Hmm… what other games start with root “Xeno?” Oh that’s right, Xenogears and Xenosaga. No, Square didn’t develop this, Monolith Soft Incorporated did. Some of the people that worked at Square on Xenogears and Chrono Cross moved onto this company though, in which Xenosaga was born. And now, Xenoblade. 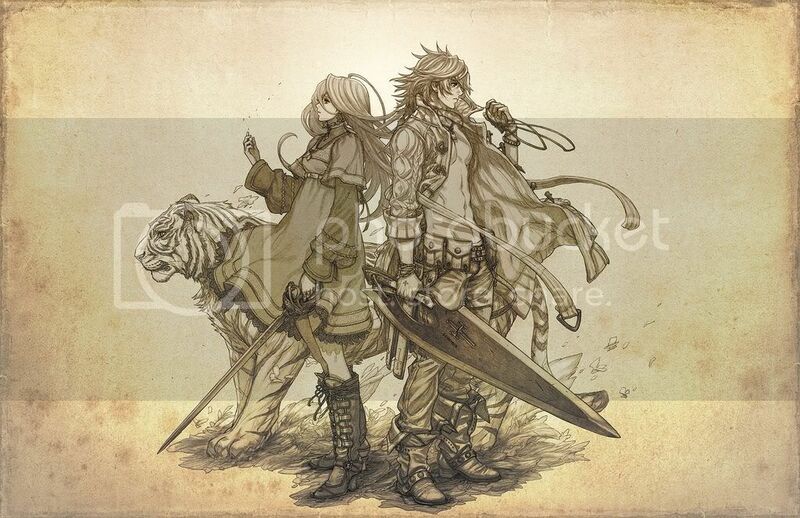 As for the last game, if you’ve ever played a One Piece video game, it’s more than likely been by Ganborion, the creators of Pandora’s Tower. Perhaps you don’t care about JRPGs though, so why should you care? Let me try to put this into perspective: imagine your favorite video game company isn’t located in your country, and decides they don’t make enough money to profit from localizing a game. So Halo, Call of Duty, Uncharted, whatever game you decidedly NEED to buy… doesn’t come out in your country, but does elsewhere. Silly, you say? People actually buy those games? Sure, they do. But people would also buy these. How do I know? Because on June 25th, Xenoblade was in three lists on Amazon: 1) THE top selling game; 2) #1 selling Wii game; 3) #1 selling Wii action game. This was done by preordering the game (which you can do right here) with the “under development” boxart placeholder. 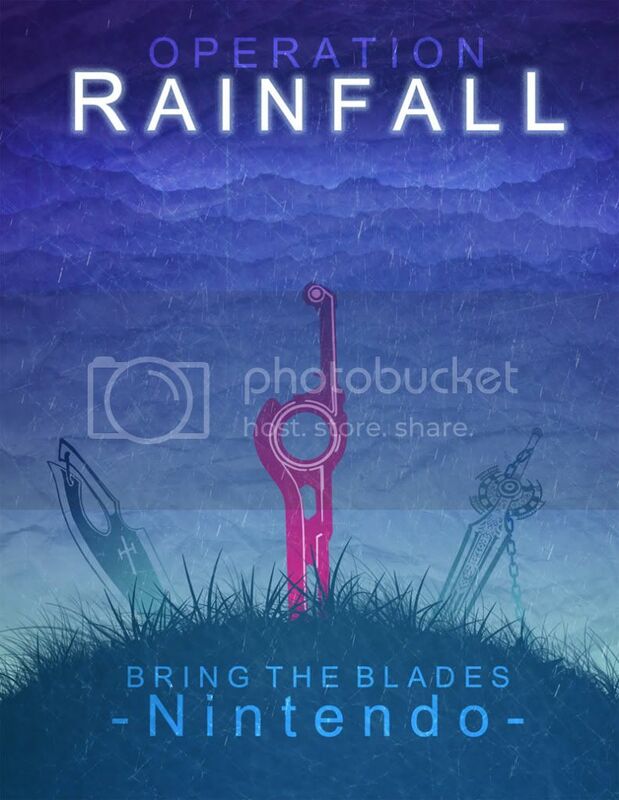 This is just one of the many ways Operation Rainfall intends on showing Nintendo of America that they want these games. How else are they doing so? Well, each game has a separate campaign in which they tell Nintendo how much they want the game via social media, calling NoA, writing letters to NoA, signing an electronic petition, and more. For links to participate, click here. It’s an action RPG made in Japan. It’s not a Western RPG. How would you properly define it so that I may fix it? It looks similar to Nier, which I consider a JRPG. I think perhaps we just have differing opinions on the definition of the term. I imagine the Shin Megami Tensei series would be considered JRPGs. If you’d prefer me to call it an action RPG, I’ll gladly change it.